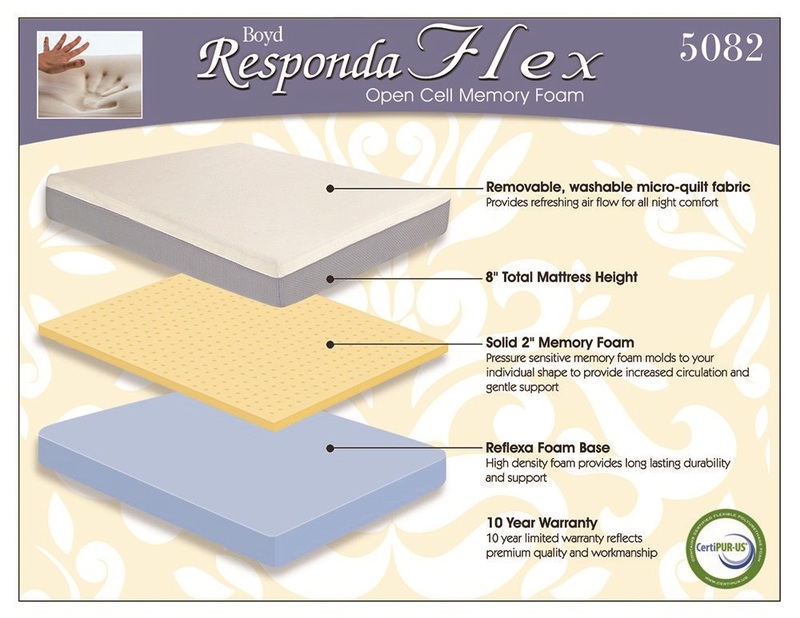 Enjoy the 8 inch high comfort of the Responda Flex Body Dynamic Memory Foam Mattress. Free Shipping included with this product. 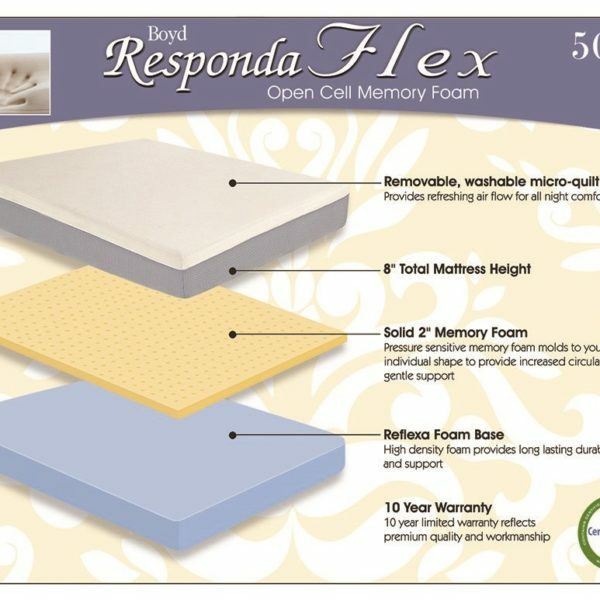 This Mattress is made with a 6 inch Reflexa Foam base and a solid 2 inch memory foam layer. King Size available on special order.